The group were based at MTC Headquarters and were led by First Peoples teaching artist Lenka Vanderboom. Over the three-week program, they undertook a range of workshops including traditional dance, performance skills, stagecraft design and writing (to name a few) with other First Peoples artists and industry professionals. They also gained the the opportunity to work with and learn from some of MTC’s core staff. The group relished the chance to see, and be inspired by, a number of professional theatre productions including Gloria, Astroman and Twelfth Night. They also took on roles as Assistant Stage Managers for Tanderrum at the opening of the Melbourne International Arts Festival at Federation Square. 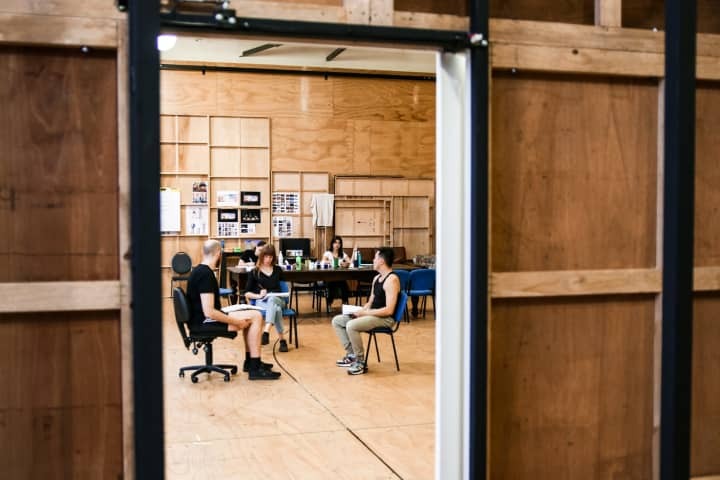 Such is their passion and dedication; some participants have since undertaken additional opportunities outside of the program to sit in on rehearsals and design presentations, meet resident writers and shadow MTC Stage Managers on the job. For some it was a first visit to Melbourne and the opportunity to ‘live like a local’ in shared apartments with a chaperone and former Indigenous Scholarship Program participant, Jacinta Keefe. This meant the group were able to bond and support each other as they learnt about what life might be like living in a capital city like Melbourne. The format of the Program provides participants with a thorough, real world opportunity to learn about the performing arts industry while interrogating their own creative practice by creating an original performance of their own for an audience at the culmination of the program. Currently in Year 11, passionate about the performing arts but her school doesn’t offer VCE Drama or Theatre Studies. She says that she sees the program as 'an opportunity to fill that gap and build skills, experience and learning'. 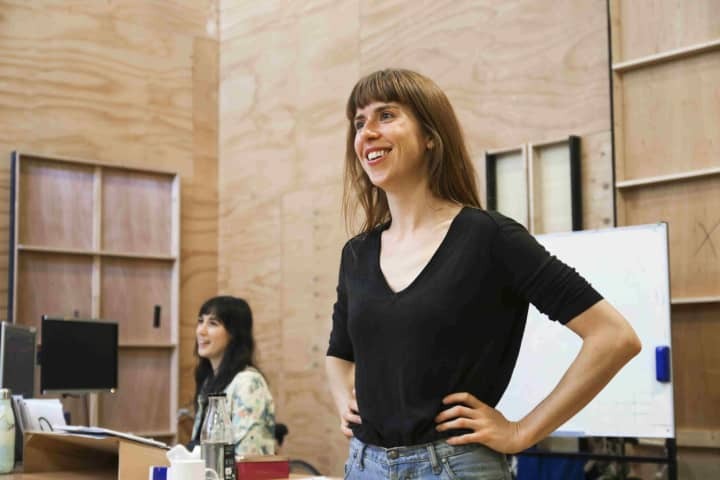 She is keen to explore her identity as a Wurrundjeri woman and her connection to land and culture through theatre. Definitely a leader in the making, Caitlyn’s teacher says that coming from a small town she is keen to learn all that she can and take it back to her community. Corey is a Torres Strait Islander man who grew up in Tasmania. He has a strong interest in the arts and wants to embrace it. The appeal of the program is that he can 'work with like-minded performers and mob'. He believes the program will be empowering for him going forward as he seeks to find work in the industry. Currently doing volunteer work in a Primary School Jayde sees the program as an opportunity for self-growth. Keen to bring awareness of the performing arts and city living to her small community she has already had a lot of experience in short films and completed an acting course at the New York Film Academy. 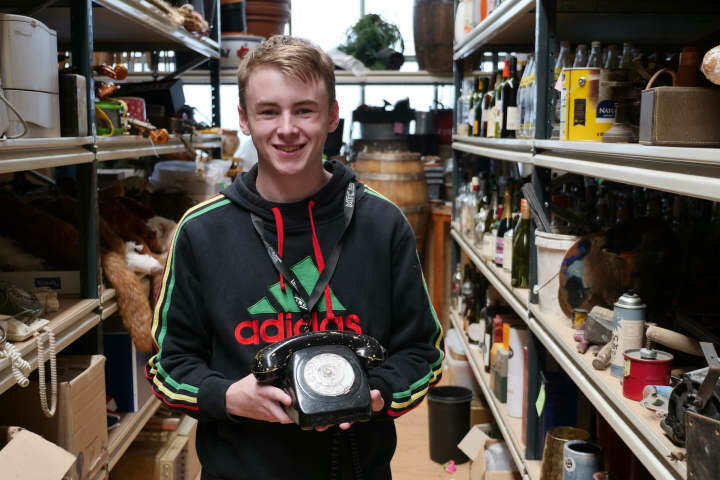 One of the youngest in the group Josh is about to embark on his VCE and has already spent time volunteering at the Wilin Centre at VCA such is his passion for the arts. He enjoys his drama classes and would like to build his skills and confidence to become a future leader in his community. Currently studying a Bachelor of Primary/Secondary Education Jyden is also an Indigenous officer/student rep at Monash University. Keen to develop his playwriting skills and explore other aspects of the creative industries. Jyden said he sees 'benefits in sharing stories and supporting others to share theirs through performance'. Jyden was also shortlisted for a place in Deadly Fringe in 2018. Would like to do further study in the arts as she’s keen to learn about how it could bring community closer together and promote insight and understanding into mental and physical health. Nomi’s already completed a one year course at WAAPA and would now like to explore more of other areas in the performing arts including directing and producing. Sarah is very familiar with MTC having already completed a work experience week and won a highly sought after place in the 2017 Youth Ambassador program. 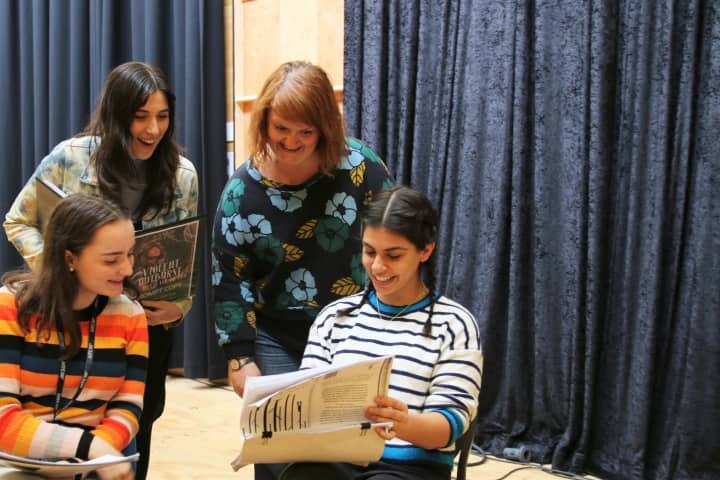 Sarah is relishing the opportunity to work with like-minded young people on a common cause – to create a piece of original theatre. A naturally organised individual she has already identified a role she would like to pursue – that of a producer. A young Narungga woman from South Australia, Tamia, sees the program as an opportunity to work towards turning her passion into a career. She believes travel can broaden her connections, knowledge and opportunities so is keen to make that the first thing she does after she completes Year 12 next year! She has a strong traditional dance background and with her local group has travelled all over Australia sharing her culture. Keen to develop his already quite sophisticated understanding of theatre production, Malyan was keen to meet and work with other young people on a shared project. Passionate about costume design – and largely self-taught - he has handmade and worn original costumes to local events and is keen to pursue a pathway in visual design. Malyan is keen to create work that tells stories about Aboriginal people.